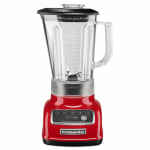 This five speed blender from KitchenAid has an empire red die-cast metal base and has pulse and ice functions. 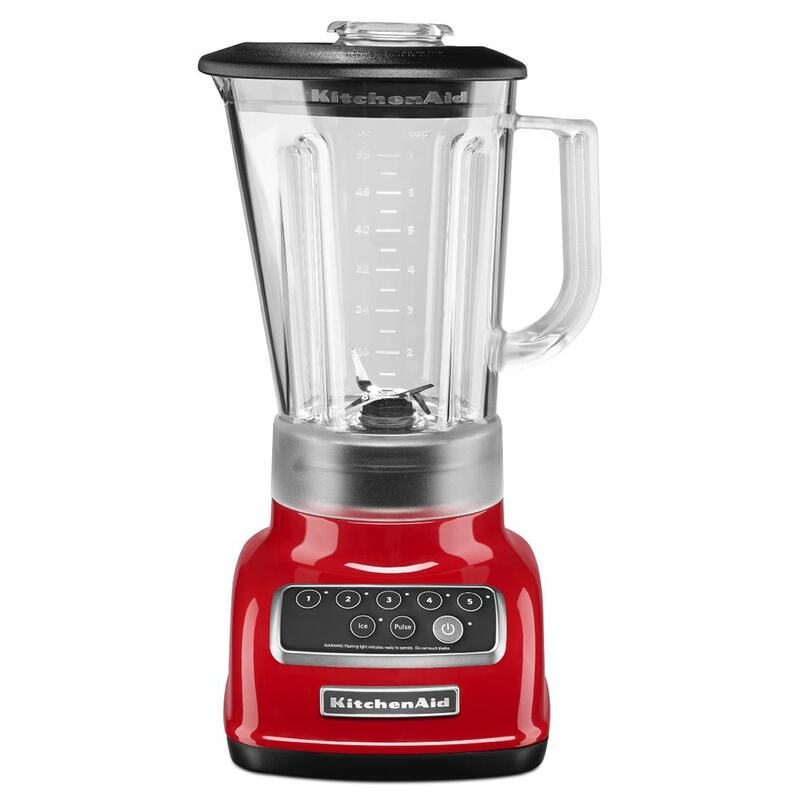 The control panel is illuminated by blue LED lights and the stainless steel blending blade is resistant to damage and warping. The Intelli-Speed; motor detects the thickness of the items being blended and adjusts the speed of the blade accordingly.